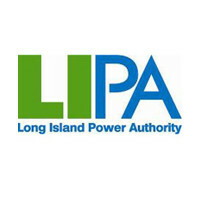 The Long Island Power Authority (LIPA) oversees the Public Service Enterprise Group of Long Island (PSEG-PI), the electricity service provider for most of Long Island, New York. As such, LIPA jobs overlap into PSEG-LI. They look for candidates who have strong customer service skills, an ability to follow directions, and a desire to learn and grow. Use the link provided near the bottom to search for LIPA jobs and fill out the LIPA application. LIPA is a municipal subdivision of New York State. Neither PSEG nor LIPA owns or operates any electric generation or retail natural gas assets on Long Island. Due to the delay of power being returned to the residents of Long Island during Superstorm Sandy, new regulations were put into effect. On July 29, 2013 LIPA Reform Act was implemented. The reform act imposed a number of new obligations on PSEG Long Island (PSEGLI), among others, relating to capital expenditures, budgets, and emergency response. The company’s mission is to ensure the provision of reliable, economical and responsive electric service to 1.1 million customers on Long Island and in the Rockaways, meet the expectations of the bond holders and be a trusted, valued member of the community. They also believe in being a leader in the advancement of efficiency and renewable energy. How to apply for LIPA online? Go to the links listed under the heading Job Links. Search LIPA jobs and find the position that you are best suited for and submit your LIPA application. Most positions that are available cross over between LIPA and PSEG-LI. The specific positions for LIPA only are Chief Executive Officer and Assistant General Counsel. These two positions require a degree plus at least six years of experience. Other LIPA careers that cross over to PSEG-LI are Communications Technician, Market Policy Director, Legal Secretary, and Customer Consultant. Some positions due not require a degree but do require some experience. There are many more career options available when you search LIPA jobs online. How old do you have to be to work at LIPA? The minimum age to work at LIPA is 18 years old. The benefits package offered to eligible full-time employees is very extensive. A few examples include medical, dental, and vision insurance, life insurance, specific disease insurance, long term care insurance, paid time off, educational assistance, and health club reimbursement. The listed benefits are some that are available; but, the list does not cover the full spectrum. There is not a printable application for LIPA to download; however, their corporate office is open Monday through Friday from 9:00am to 5:00pm if you need assistance. Otherwise you can apply for jobs at LIPA by going online. Chief Executive Officer – The Chief Executive Officer has overall responsibility for assuring the reliable, safe, and economically sound operation of the company’s electric system. This role is the primary liaison and interface on behalf of the organization with LIPA’s Board of Trustees and provides direction, guidance and oversight of staff and the company’s contractors. Assistant General Counsel – The primary responsibilities of this role include preparing relevant legal documents, providing legal advice and support, coordinating and participating in all areas of legal and regulatory compliance, and assisting with the oversight, monitoring, and commenting on legislation. Customer Consultant – The Customer Consultant will act as an interface between customers and Distribution for New Business projects. This role has minimal supervision while managing multiple medium to large sized projects. Other duties include sales billing, tracking of payment, and reconciliation of time and material projects. Legal Secretary – This role’s responsibilities include maintaining and coordinating attorney calendars, schedules, and travel plans, performing clerical duties, maintaining files, updating cases, and processing expense reports. The following questions have been gathered to practice with for some of the listed positions and are meant to assist you for your interview. How do you see the company changing in two years, and how do you affect those changes? The company wants to hire a leader who knows enough about the business to have a vision of where the company should be going in the future. What is your most significant professional achievement? This is a good time to explain what the achievement was and also how it contributed to the company that you worked for. Why did you decide to go to law school? Answer this question by explaining your reasons and your goals. Then, illuminate how those goals have changed since you first began. What qualities do you possess that will make you a successful member of the company? Make sure to use this question to highlight your skills, abilities, and personality that are appropriate for the position that you are applying for. How do you evaluate success? The only way to evaluate success is if there is a specific goal in mind. You should give examples of the types of goals that would be appropriate for the position and then explain what you would consider a successful completion of those goals. It is very important that you take your time and research the company and the position. There is a large amount of information available online and you should expect to take a couple of hours to peruse it. Once you have completed your research, update your resume to highlight the skills and abilities that are needed for the job that you are applying. For some positions, you will need to have a cover letter and will be instructed to email your cover letter and resume to the email that is given. Other positions allow you to apply online, but be sure to read all of the instructions. Be prepared to go through a series of assessment tests, so give yourself enough time to complete them. You will want to dress professionally for the interview using good grooming standards. Bring a copy of your resume, any awards that you have been given previously, a pad, and a pen so you are prepared for anything. Show confidence by having a good posture, keeping your hands still, making eye contact, and smiling. When you need to give specific examples to the questions asked, use you previous work history as much as possible. At the conclusion of the interview, thank the recruiter for his or her time and consideration. It is always a good idea to write a thank you note after the interview as it serves to remind the hiring manager of whom you are and that you are still interested in the position. Coca Cola: See our resource page for more information on Coca Cola careers. Kansas City Power & Light: Kansas City Power & Light offers opportunities for both, beginners and experienced roles. Memphis Light Gas And Water: Use the Memphis Light Gas And Water job application to apply here. Convergys: Visit the Convergys application. Southern California Edison: Southern California Edison offers opportunities for both, beginners and experienced roles.